As you can see, Charlies latest injury breaking his leg is just one of the many mishaps in his brief life. 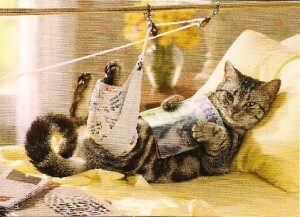 So what can we do in the future to prevent our Cats injuring themselves when they go out side to play. Well its called PetSafe electronic systems that prevent our feline friends from leaving the property. These systems will contain your cat without harm both indoors and outdoors. Keeping our cats in the yard and certain places in the house will reduce injury by over 90%.